William Roper-Curzon is a British artist whose work is an exemplar of traditional draughtsmanship in the hands of a fresh, emerging artist. He studied drawing at City and Guilds and latterly at the Prince of Wales Drawing School, where he studied under Catherine Goodman, Humphrey Ocean and Susan Wilson. He was awarded a full scholarship and won The Viscountess Rothemere Award. Both of these schools maintain a tradition of technical drawing which has been a pivotal influence in his work. Following a renewed interest in skill-based use of expressive forms was heralded by the choice of Richard Wright as the 2009 Turner Prize winner. William’s dynamic figurative and landscape drawings display a strong rhythm of line and mark making; his portraits are emotive and highly expressive. He works in pen, ink, pencil, charcoal and coloured pencil; using conflicting palettes to create vibrant and striking images. 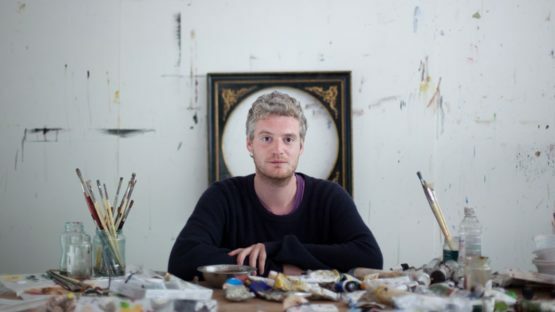 His work is influenced by artists including Matisse, Jacob Epstein, Frank Auerbach, Peter Doig and Isobel Brigham. William has exhibited at the Rose Theatre, The Royal Overseas League in London, The Pylewell Festival 2011 in his hometown of Lymington, and involved in a number of charitable art auctions,including auctions for the Special Yoga Centre, and the Katie Piper foundation. He has also executed numerous private commissions and acted as ‘Artist in Residence’ for a private client. His work was also included in Art Barter, alongside Tracey Emin and Gavin Turk.